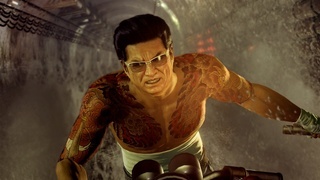 Yakuza Forums | YakuzaForums.com :: Yakuza / Ryu ga Gotoku :: Other Yakuza Discussions :: Ryu ga Gotoku Kenzan! As the title says, are there any people around who played Kenzan? What are your thoughts and opinions about this game? If you haven't played it, are you considering to import it at a certain point in time? Having played almost all of the games (Kurohyou 2 is missing), I can safely say that Kenzan is still my favorite game in the series after 0. For a game that was supposed to be a prototype for the series on the PS3, it was of a surprisingly high quality in regards to almost every aspect of the game, be it story, characters, combat gameplay and side content. It is also interesting to discover things within this game that went on to become core elements of future installments, like certain heat actions, revelations and a couple of minigames, and even concepts that were revisited after many years, like having 4 styles and switching them whenever the situation at hand demands it. Looking forward to other people's opinions and questions, if there are any. I started to play ! You reassure me for the gameplay because for now I find it rudimentary. 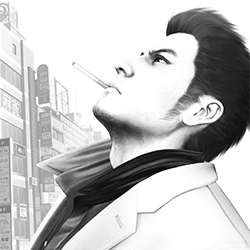 The story is really interesting and the relationship between Kiryu and "the ancestor" of a pillar of the saga is very well done. I had only one revelation and it came out of the usual standards. She was simple without being simplistic. The Sengoku Era offers a certain charm to the game. The maps have an incredible charm. The first moments to join Gion are magical! The maps are better organized than Ishin! and we have a slight sensation of Open World ... I can not wait to go explore all the features. I started a training with Komaki sensei, a pleasure to find him here. I have not done mini-games except a "cabaret" (we get away with cheap relief ^^). Looking forward to discovering the new! A trivial detail but I find nevertheless interesting to note: Kiryu can "jump" from a ledge! Too bad it did not continue on others ^ ^ It was necessary to wait for a new engine. In short, for now it's a great surprise. As a fan of the franchise, I knew I would like it but not at this point. As you say for a first try on a new engine, I do not have much to blame him if it is the gameplay (for now). HGG can happen next week I'm not in a hurry any more ^^. I love Kenzan Story is amazing. Loads of things to do. Sadly, in my opinion the combat hasn't aged very well. Feels really rough after playing Ishin. It was fine for its time but going back to it is always a disturbing experience, lol. Still love the game though.